SchÃ¶n wieder hier an dieser Stelle neue Bilder von Dir zu sehen! Wonderful bold colors. There are no lighthouses in my area, but I hope one day to travel to photograph some. I think they are such a wonderful subject. 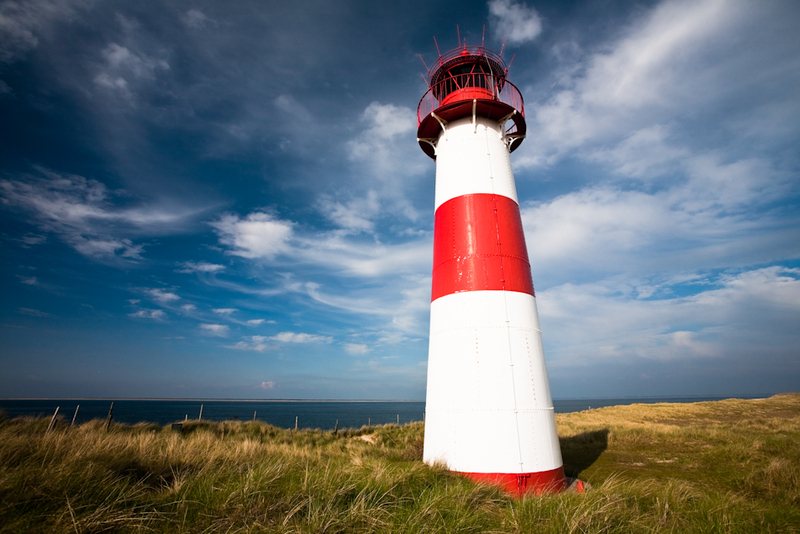 Great composition, the stripes of the lighthouse provide a nice contrast against that wonderful sky. Love the perspective and great use of colour.